The standard method of sample collection for many of our DNA tests is through a mouth swab. This is the standard method of sample collection in the industry as collecting DNA is quick, painless and easy. What does a Mouth Swab look like? A mouth swab is similar to a cotton bud with a cotton-ended part on a single end of the stick. The swabs are sent to you in sterile packaging and it is crucial to handle them in a clean environment with clean hands. Follow the instructions provided carefully. It is important to make sure that the swab sample is correctly labelled with the name of the donor and any other information requested. 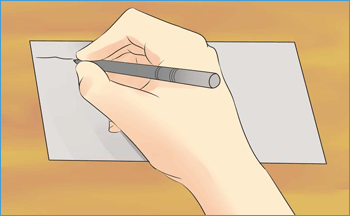 To avoid contamination of the sample it is of utmost importance not to touch the cotton ended part of the swab and to keep swabs from different test participants separate. We provide 4 swabs for each person. Make sure to use all 4. 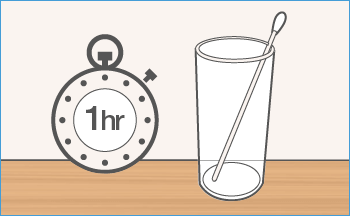 Avoid eating, drinking and smoking for one or two hours before sampling as food and drink may compromise the quality of the sample. You may drink water. In the case of infants requiring their mouths to be swabbed, again it is important that at least an hour has elapsed since the infants’ last feed and to rinse their mouth with lukewarm water prior to rubbing the swab inside their mouth. You will find 2 pairs of swabs enclosed in paper envelopes. 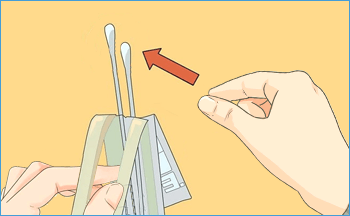 Remove the swabs from inside the envelope. Each pair of swabs is in turn sealed in a wrapper. Remove and discard the wrapper ensuring to keep the swabs and the envelopes. Complete the required information on the swab envelopes. 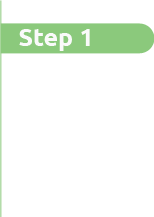 You may fill out all the required details, making sure to write everything legibly and in block capital letters. The larger envelope also contains a consent form. 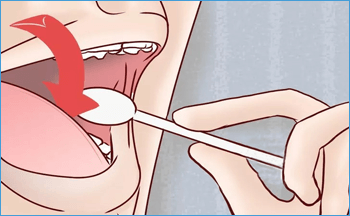 Take one of the 4 mouth swabs and rub it gently inside the mouth, under the tongue and against the cheek (always inside the mouth). You need to do this for 1 minute per swab. Repeat using remaining swabs, ensuring to swab all test participants and to use all the swabs. Allow the swabs to dry for an hour. Tip: You can place them upright in a clean glass. Once they are dry you can return them to their corresponding envelopes. Make sure that at no time do swabs from different people come into contact with one another. 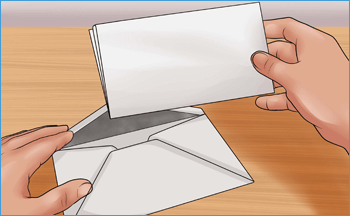 Once you have completed all previous steps, place the envelopes and the consent form into the larger pre-addressed envelope. You can now simply affix a stamp and send your samples off for analysis. Once we receive your samples, we will send you a confirmation email and you will be given the date when your results will be completed. Results are issued by email as standard or by email and hard copy for an added cost.